generation adidas international, in conjunction with Bavarian SC, is proud to offer you an amazing soccer experience from July 15-20. This program offers a once in a life time experience to be coached for a week by the youth coaches of one of the world's greatest professional soccer clubs. 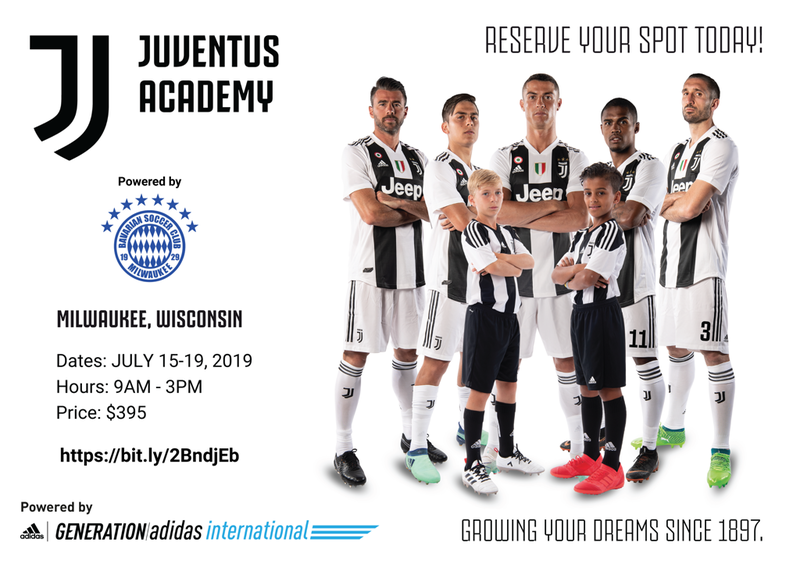 Juventus will be running a camp at The Bavarian Soccer Complex in conjunction with Bavarian SC, and you will enjoy a week of intense training with world class coaches. Open to boys and girls ages 7-15, this is an opportunity you do not want to miss!